Summer Nights returns this June & July! Join us on Tuesday’s from 5:00 p.m. to 9:00 p.m. for Summer Nights and experience the Zoo in a whole new light! Summer Nights also will feature Zookeeper talks, and animal encounters with our Experience Ambassador, educational activities, and more. Our concession stand will be open for dinner, and we’ll be announcing specific menu items for specific weeks. Regular admission rates apply. 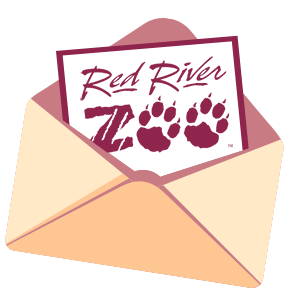 Red River Zoo Members receive FREE admission! June 4th – 80’s Night! June 11th – Critters & Karaoke at the Zoo! June 18th – Summer Beach party! June 25th – Summer on the Zoo Farm! July 2nd – Fourth of July Fiesta! July 9th – First Responder Night! July 16th – Zoo Olympics! July 23rd – The Magic of Flight: Fargo Air Museum Night!